Edward and Esther are students from Ngoro in Uganda. 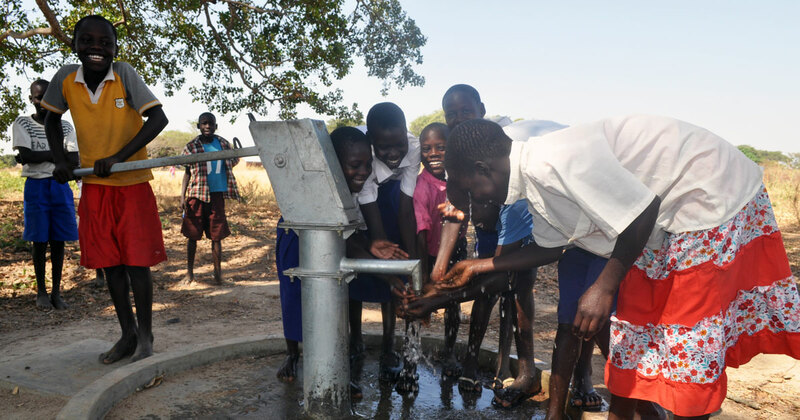 "I am happy because the borehole is very near and we can always get clean water at school, which was hard to find before. "Before we would have to drink the swamp water since the borehole was far and we had to pay to get drinking water. The swamp water was dirty and was making us sick, some children would fall sick and fail to come to school with cholera disease. "I was sick and had to miss four days while being treated. Most of my friends have also fallen ill.
"In our school most children would stay for two or three days without bathing. Girls would have to miss lessons and days due to menstruation. "We can now clean our classrooms and latrines wash our hands and get clean water for drinking, bathing and cooking. We are also able to fetch water for the animals and washing clothes and remain smart in school."